You can monitor any changes that take place at Law Firms you follow. To begin to track them click on Set up Alert. Mannheimer Swartling is the largest law firm in the Nordic region and regularly receives instructions on Sweden's most prominent and complex financial and corporate law matters. The firm's position on the market across all practice areas is frequently confirmed by rankings in the league tables and awards institutes. 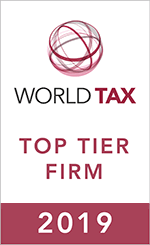 The firm's Corporate Tax practice primarily advises on domestic and cross-border M&A, reorganisations, structured finance, private equity and venture capital, incentive plans and regularly assists clients in tax litigation.